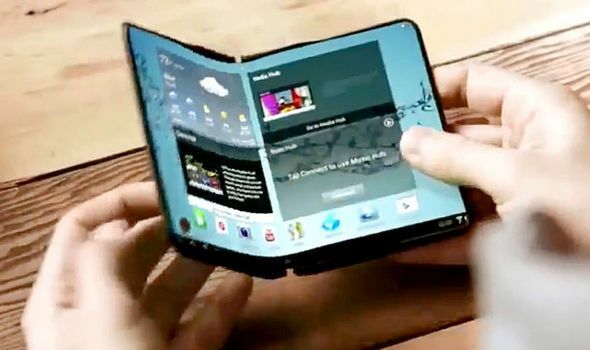 The Samsung Galaxy X foldable phone is expected early in 2019 and now the company's CEO has spoken out to reveal new details. Of course it will likely actually be called the Galaxy F.
Samsung is working hard on its new category of smartphone, the foldable Galaxy X, or Galaxy F as it might be called. At the recent Galaxy Note 9 launch, Samsung's CEO DJ Koh spoke out about the new folding handset. Interestingly he said Samsung is: "focusing on developing innovations that will be genuinely accepted and liked by consumers" and that it "didn't want to lose the world's-first title". This suggests Samsung aims to be first to release the foldable phone, something which Huawei has also publicly claimed it will do. The race is on. Another fascinating comment from Koh came in the form of this: "We wouldn't have started [the project] if it was a going to be a one-time thing." This was talking about the foldable phone. This suggests we won't just have one but a first in a new line of smartphones. Hopefully that's a good sign that this will have Samsung's long-term backing and plenty of research in investment has gone into what should be a great product right from the outset.